When talking about Chinese New Year celebration, I must relate it to Wang Xiaoer who was a poor man in the old time. Although I am as poor as Wang Xiaoer, I am not exempted from celebrating Chinese New Year. 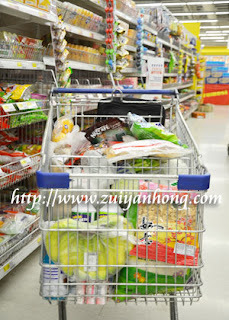 As Chinese New Year is just a few days away, I have to shop all the New Year stuffs. When ever go for New Year shopping, I am vastly discontent with the severe inflation. Someone's cattle live in upscale condominiums and drive luxurious cars, while taxpayers find it so difficult to possess simple houses for shelter. My New Year wish is expecting a "clean government" would be formed in Malaysia after the coming 13th general election.